Gary helped bring Reformed Heritage Church to life in 1998 and has served as it’s pastor since 2004. Gary has been married for 41 years to Christa and they have five wonderful, God fearing children and six grandchildren. He was brought to a saving knowledge of the Lord Jesus Christ in 1975, through the ministry of the late Rev. Rousas Rushdoony and has had a hunger ever since to serve the Lord by bringing every area of his life and culture into submission to Him. Gary owned his own pastry shop, La Patisserie, in Cupertino,CA. for 20 years before pastoring RHC, and he still works part time as a pastry chef for a bakery that makes wedding cakes and specialty cakes exclusively, but the bulk of his time is spent serving the family of RHC. Elder Steven R. Loomis grew up in the South Bay and has been a part of RHC since nearly the first meeting. Though the whole earth is the Lord’s, Steven is grateful to be called to the progress of Christ’s gospel here in this local area. 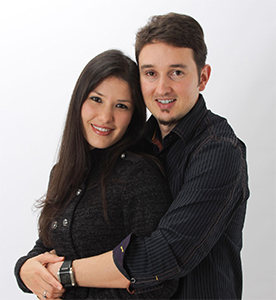 He lives in San José with his wife and two children, and also works as a software engineer. David is thankful for his Christian upbringing by missionary parents and the time spent living in Israel as a boy. He grew up in Southern California and graduated from UC Santa Barbara. He has worked as a special education teacher since 2001. He and his wife Katalina joined RHC in 2008 with their children Caitlin, Joseph, Pearl and Israel. He desires to build a godly heritage for his family. He is daily reminded of God’s grace in his life and is grateful for the opportunity to serve Christ’s church as a deacon. Ramon (Ray) Robles has been a member of Reformed Heritage Church (RHC) for over two years. He has long been a devotee of the Reformed faith since his conversion in 1999. Ray and his wife Claudia, were married in 2012 and live in Campbell, CA. Ray has lived in the South Bay area since his he was three years old, and comes from a large family with nine siblings. He has worked over the last 13 years helping adults with developmental disabilities, working as a manager at his current agency. Previously, Ray has worked as a supervisor in manufacturing, commercial transportation and in industrial security and safety. Ray and his wife are thankful for God’s providential care that has brought them into fellowship and covenant with a body of faithful believers that are committed to the tenets of the historical Protestant Reformed faith. Ray’s greatest desire is to be a servant to others, promoting God’s Kingdom on Earth and glorifying God in all areas of his life. Ben Loomis has been a part of RHC since the early days. He has worked on the recording and distribution of sermons and lectures for RHC and related activities, and seeks to use technology to spread Godly messages far and wide, as well as helping God’s people through the diaconal ministry. Ben lives in Sunnyvale and works as a software engineer. Alexandre (Alex) has been a member of Reformed Heritage Church since 2010. 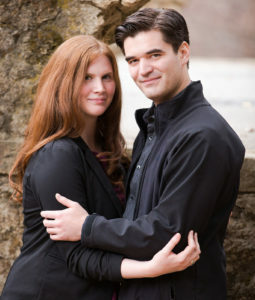 He and his wife Sara have been married since 2009. They live on the Peninsula and have been thankful for God’s providence and care. He is originally from Brazil and is passionate about the Lord and theology. He is currently pursuing a computer science degree. 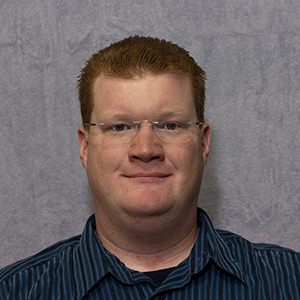 Matt Taylor has attended Reformed Heritage Church for over 15 years. He met his now wife Elizabeth at the West-coast Christian Worldview Conference which RHC sponsored. They were married in 2014 by Pastor Wagner. He is grateful for the fellowship and kindness of the RHC family and most of all the dedicated preaching of God’s word. He is excited by his new role in the diaconate and looks forward to God’s continued calling in his life.